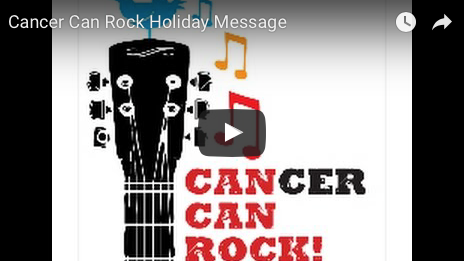 News | Cancer Can Rock! Jim Ebert and Rich Forsen of Cancer Can Rock are featured on Fox 5 News describing the foundation and its impact. Jim Ebert talking about Cancer Can Rock on Inside Scoop. 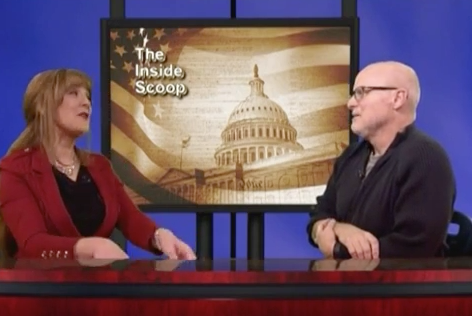 Host Amy Skiavo returns with a show featuring independent music producer Jim Ebert who has founded Cancer Can Rock, along with Cancer Can Rock Director, rich Forsen. Cancer Can Rock would like to say Thank You!!!! Have a great Holiday season and an even better 2016. Thank You! Mary Louise Parker, actress and star of such notable shows and movies as Weeds, RED, RED 2, Fried Green Tomatoes, Boys on the Side, The West Wing, and Angels in America gives her support to Cancer Can Rock. Paul Pfau from NBC’s The Voice has joined Cancer Can Rock to spread the word and awareness. Please share his message with your friends on Facebook, Twitter, etc. Lets get the word out. Thanks, Paul. Jammin’ Java Event, February 25. 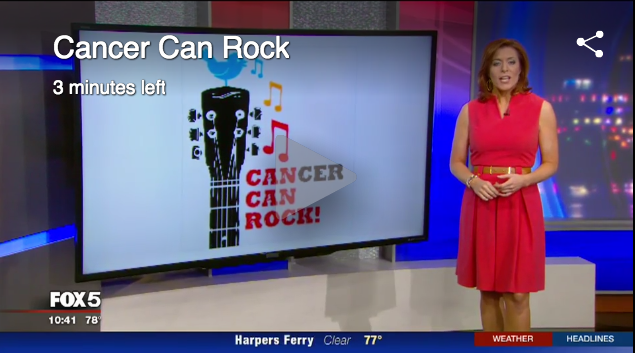 Cancer Can Rock Featured on NBC 4. NBC 4 and Jim Vance feature Cancer Can Rock back in 2013. Cancer Can Rock is hosting another Benefit concert on Tuesday November 12th, 2013 7:30 PM at IOTA Club & Cafe in Arlington, VA.
As usual, We have a great lineup of artists donating their time and talent to this great cause. Show begins at 7:30 PM. Sign up to receive updates on events, artists, volunteering and sponsorship!